To compare the efficacy of chemoendocrine treatment with that of endocrine treatment (ET) alone for postmenopausal women with highly endocrine responsive breast cancer. 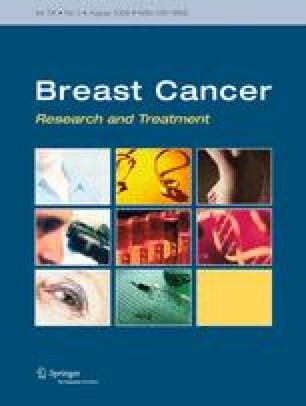 In the International Breast Cancer Study Group (IBCSG) Trials VII and 12–93, postmenopausal women with node-positive, estrogen receptor (ER)-positive or ER-negative, operable breast cancer were randomized to receive either chemotherapy or endocrine therapy or combined chemoendocrine treatment. Results were analyzed overall in the cohort of 893 patients with endocrine-responsive disease, and according to prospectively defined categories of ER, age and nodal status. STEPP analyses assessed chemotherapy effect. The median follow-up was 13 years. Adding chemotherapy reduced the relative risk of a disease-free survival event by 19% (P = 0.02) compared with ET alone. STEPP analyses showed little effect of chemotherapy for tumors with high levels of ER expression (P = 0.07), or for the cohort with one positive node (P = 0.03). Chemotherapy significantly improves disease-free survival for postmenopausal women with endocrine-responsive breast cancer, but the magnitude of the effect is substantially attenuated if ER levels are high. We thank the patients, physicians, nurses, and data managers who have participated in the International Breast Cancer Study Group (see Appendix) trials, now and for the past 30 years. The IBCSG is funded in part by: Swiss Group for Clinical Cancer Research (SAKK), Frontier Science and Technology Research Foundation (FSTRF), The Cancer Council Australia, Australian New Zealand Breast Cancer Trials Group (National Health Medical Research Council), National Cancer Institute (CA-75362), Swedish Cancer Society, Cancer Research Switzerland/Oncosuisse, Cancer Association of South Africa, Foundation for Clinical Cancer Research of Eastern Switzerland (OSKK). Frontier Science & Tech. Res. Found. Royal Perth Hospital, Perth, Australia.